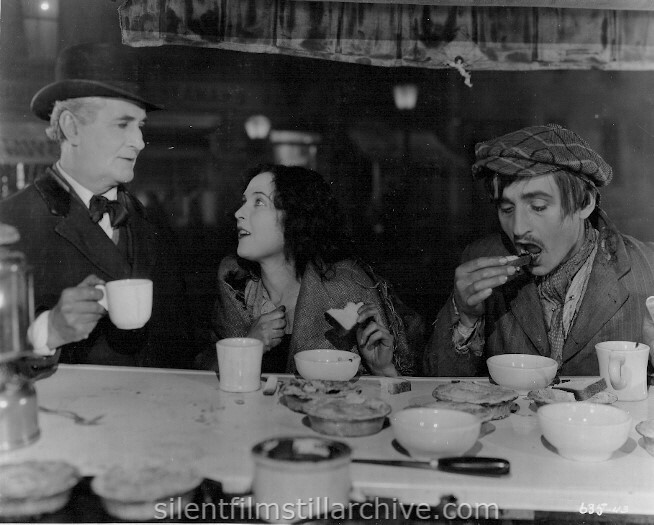 Jaqueline Logan and Raymond Griffith. 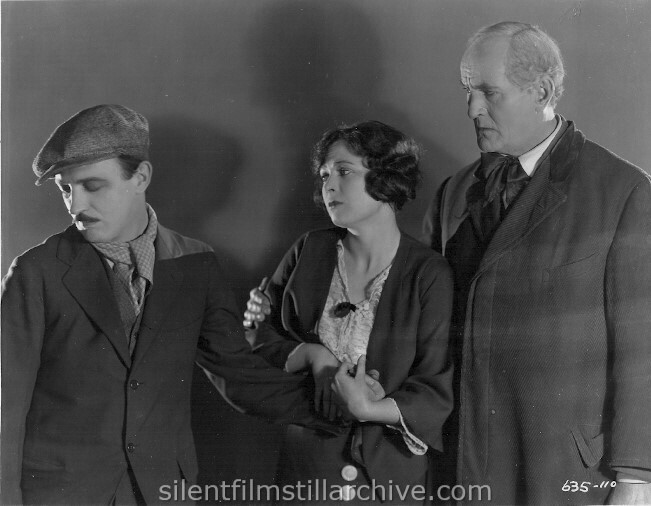 Jacqueline Logan and Raymond Griffith. This photo has been heavily retouched for magazine or newspaper reproduction. The background was painted over, a border added, and a new blouse was painted on Miss Logan's body. 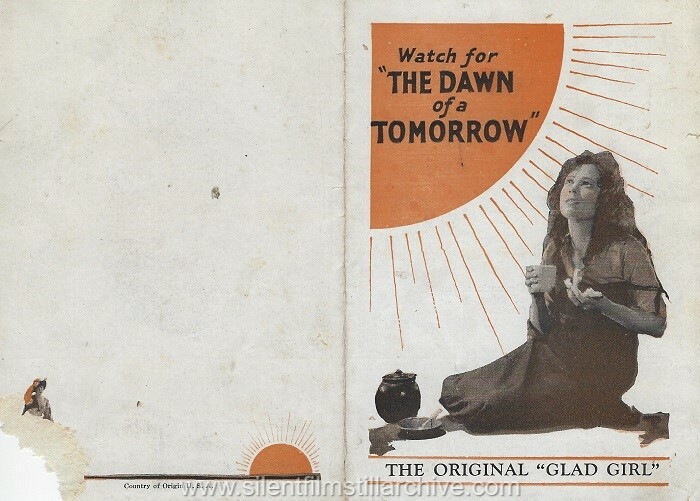 Watch for "THE DAWN OF A TOMORROW"
Dramatic scenes of gripping intensity. Pretty Alma Bennett is in the cast. Jacqueline Logan is superb as 'Glad'. A love-thriller of London slums and high life. You'll want to see this big climax! 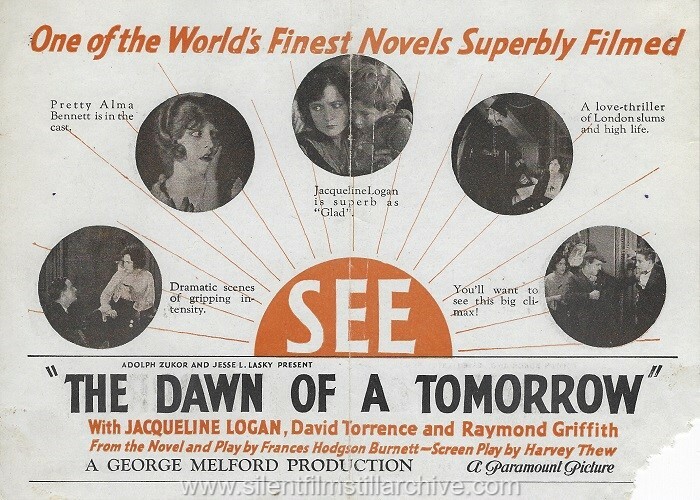 "THE DAWN OF A TOMORROW"
with Jaqueline Logan, David Torrence, and Raymond Griffith. Directed by George Melford. Paramount. Last Modified March 23, 2018.